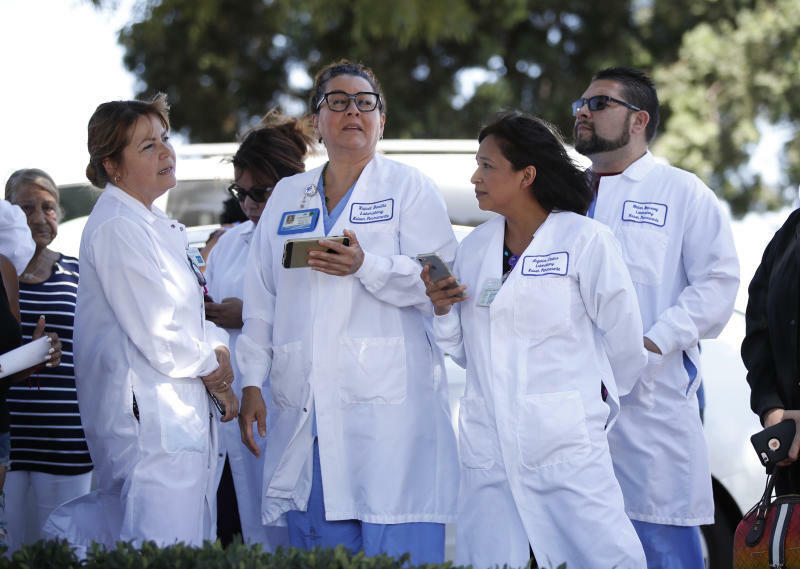 LOS ANGELES (AP) — A patient waiting for a psychiatric appointment hurled a chair through a window at a Southern California hospital and pulled a gun Tuesday but no shots were fired and the man surrendered peacefully, police and witnesses said. 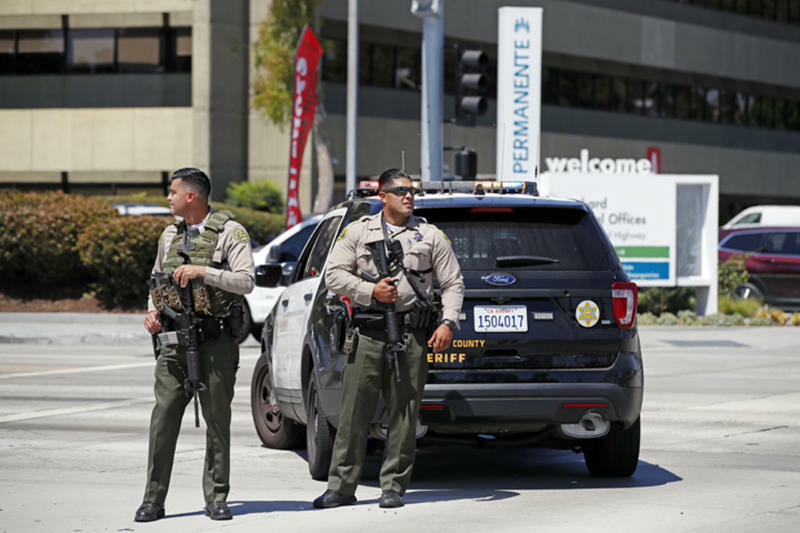 Jesus Chavez, 34, of Lynwood was arrested on suspicion of making criminal threats after the incident that prompted evacuations and a lockdown at Kaiser Permanente Downey Medical Center near Los Angeles. Nobody was hurt in the disturbance that began shortly after 11:30 a.m., Downey Police Chief Carl Charles said. A visitor, Amber Boughner, told the Long Beach Press-Telegram that she was in the psychiatry department waiting room when a patient became agitated because he hadn't been seen for an appointment. The man yelled that he had been waiting for a half-hour and "he needs to see the doctor now," Boughner said. The man pounded on a door, kicked a wall and threw a chair through a window, she said. "He went from agitated to crazy," she said. The police chief said the man threw the chair and pulled a gun when a security guard came over. Jorge Torres said he and about 40 other people sheltered in a lab one a floor below the psychiatric area until police led them out. He said people were especially on edge because it was the 17th anniversary of the 9/11 terrorist attacks. "Everybody was extremely nervous and shocked," he told the Press-Telegram. Police and Los Angeles County sheriff's deputies cleared the building room by room. TV news helicopters showed people calmly walking out of the facility and numerous police vehicles around it. The man was unarmed when he surrendered without incident a short time later just outside the building, the police chief said. A gun was later found. Jim Branchick, a Kaiser area manager, said the incident happened in a medical office building, not the hospital proper. Branchick said he did not know how the man got the gun into the building. The medical center does active-shooter drills, and personnel followed protocol when the "code silver" signal for such an event was declared, he said. People went into rooms, closed doors and followed police commands. 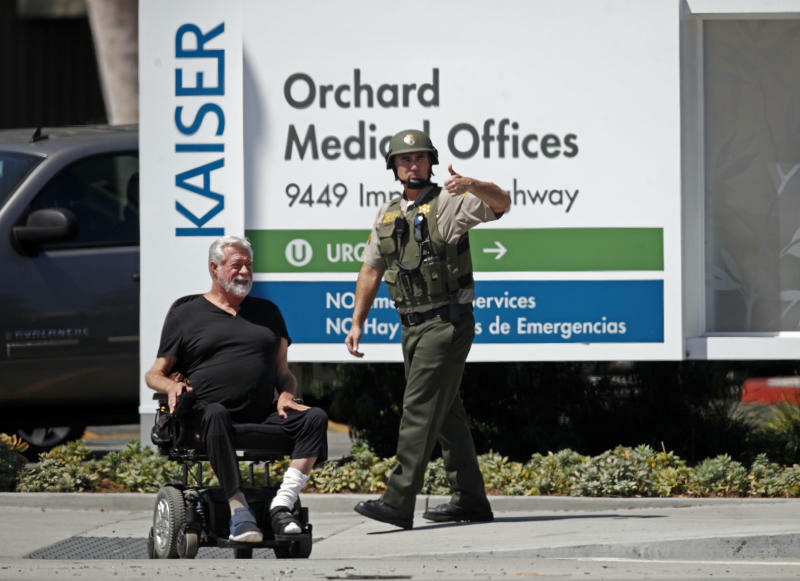 Kaiser Permanente said in a statement that hospital officials were cooperating with police and sheriff's investigators. The company directed further inquiries to the law enforcement agencies. Counseling will be provided to employees unnerved by the incident, the hospital said. Downey is a city of about 110,000 people southeast of downtown Los Angeles.